How long does weed stay in your system? Most often its too long. 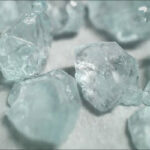 In fact, its one of the drugs which lingers the longest even compared to more dubious narcotics like cocaine and methamphetamines. Even if you live in a state with legal access to medical or recreational weed, it doesn’t always mean your employer is going to be gung-ho about you smoking it on the job. Here we go over in detail what to expect from drug test for cannabis and what you can do to avoid being caught positive of THC. When answering the question “how long does marijuana last in your system?” it’s important to know more about the different testing methods. Each type of drug analysis is different, even including for the molecules they test for. Before you can pass a drug test you need to understand how they work. 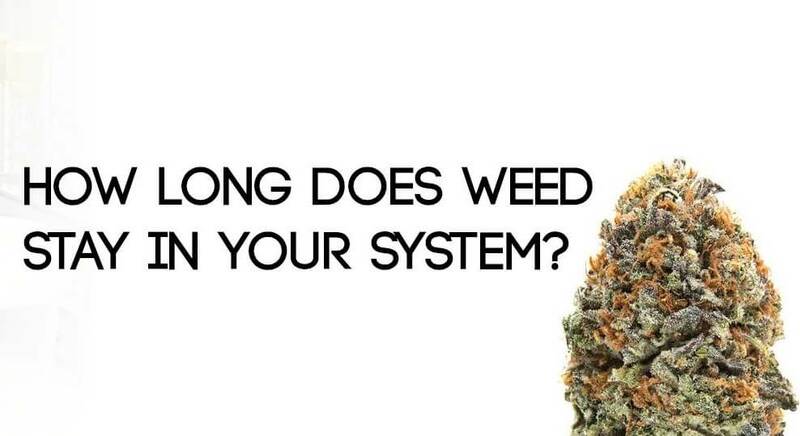 What Do You Need To Know About How Long Is Weed In Your System? Although the physical effect of smoking cannabis fades rapidly, it’s still possible to detect the drug in your body for several days, or even weeks afterward. There are several elements which influence how long weed is testable in your system. These elements include the amount of marijuana used by the individual, their diet, their physical fitness level, and even their medical history. It’s complicated, and there is no one size fits all solution for determining how long THC stays in your system. Marijuana’s active ingredient is THC (tetrahydrocannabinol). This cannabinoid rapidly enters the bloodstream if it is vaped or smoked. However, if you’ve eaten an edible, it will take longer to enter the bloodstream. Cannabis has a short-term effect on learning, memory, coordination and problem-solving. These effects are relatively short-lived, usually only lasting around 1-2 hours. But the evidence lasts for much longer than the high itself. Employers, rightfully or not, want to know if you are high at work. Unfortunately, many of the current tests also test for whether you were high over the last few days and weeks. Which Test Are Used To Detect Cannabis In The Body? The most relevant factor to bear in mind when asking how long does weed stay in your system is the type of marijuana drug test. There are several ways of testing, although some are more commonly used than others. Employers typically want cheap, fast, and easy tests, which means they almost always subjugate their employees to oral swabs and urine tests. Blood tests are usually reserved for medical situations, or if you are getting tested for legal reasons. Hair testing is quite challenging to get right, and one of the least accurate methods. You will likely never encounter a hair test for weed. If you are going to take a blood test for the presence of marijuana, you will probably be asking how long does weed stay in your blood? When blood testing is carried out for cannabis use, it is testing for the active component THC. The prominent question here is how long does THC stay in your blood? The good news is that THC can only be detected in your blood for a short period of time. Maybe a day or two if it’s the first time you have consumed cannabis and up to a week if you are a heavy user. The THC is broken down rapidly and turned into metabolites. The human body makes around 80 metabolites from THC which are then stored in the body’s fat cells, gradually eliminated over time through waste. If you haven’t used marijuana in the last day or two, you should easily pass a blood test for the drug if it is only testing for THC. However, because it’s well known that this test comes with time limitations, it is rarely used except in the event of an automobile accident or a roadside sobriety checkpoint. Blood tests also indicate just how impaired or intoxicated you are due to your marijuana use. Since blood tests only reveal very recent marijuana use, it comes as no surprise that more popular test for the presence of cannabis is one which detects longer term use. Urine tests are very popular, especially with employers. They look for the various metabolites produced in the body through cannabis use. This type of testing does not show the level of current impairment or intoxication, only that you’ve used the drug recently. A urine test is typically when chronic smokers get into trouble. Even if they haven’t smoked for days or weeks, these troublesome metabolites keep triggering a positive result. So, precisely how long does marijuana stay in your urine? Well, there are several factors to be considered. When asking how long does THC stay in your urine, it’s important to be aware that although some of the THC metabolites leave the body within 20 hours, many end up stored in the body’s fat cells. For most people, even daily users, it may take up to two weeks for the THC metabolites to dissipate. Heavy regular users, especially those with high levels of body fat, can expect over a month in some cases. On the positive side, if you are only an occasional user, it’s likely that the THC metabolites are long gone after five days. Are Cannabis Urine Tests Accurate? If you are asking how long does weed stay in urine, you are probably wondering how accurate the tests really are. It’s known that when it comes to testing for several other substances false positives are relatively common. You may have even heard the rumors that some over-the-counter medications can trigger a positive result, or that poppy seeds can trigger a positive test for heroin. However, when it comes to detecting THC in urine, there are now highly sophisticated tests which mean that a false positive is very unlikely. The urine testing process involves screening the urine sample with the RIA or EMIT test. Further screening is required once a positive result has been returned using a GCMS for a more accurate result. Another popular test among employers is the oral swab, also known as a saliva test. Many prefer the saliva test because it’s less intrusive to perform, and the process more efficient. Oral swabs are similar to a pregnancy test, where the results are displayed almost immediately. You can even buy your own oral swabs to have handy at work, or at home. Oral swabs only test for recent activity, within the last six hours. If you smoked a doobie before work, then you’ll test positive at lunchtime. If you packed a bowl last week, the test should return a negative result. How Does Saliva Cannabis Testing Work? If you are wondering how long marijuana in your system before you can pass a saliva drug test, you need to know first how this type of testing works. A saliva cannabis test uses a swab which is similar in shape to a toothbrush. It collects a sample from the mouth (in the area between the cheek and lower gum). This swab is inserted into a container with a chemical which tests for the presence of marijuana compounds. 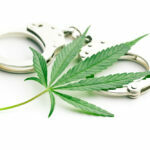 Since this type of drug test is unable to detect marijuana use from more than 72 hours in the past (at the very most). For most people, you will test free and clear within a day. Even if you are a chronic smoker, so long as you pause for a day or so, you’ll still have negative results from an oral swab. One thing to be aware of with oral swabs is their tendency to be used randomly. Urine tests are typically scheduled, and routine. Saliva tests tend to come when you least expect it. If you are looking for some advice on how to pass a mouth swab test, check out this article! Marijuana metabolites stay in your bloodstream, your fat cells, and eventually your hair. Just as your body disposes of THC metabolites through urine and excrement, it also gets rid of it by way of your hair follicles. Its a rarely used test because of the difficulty determine timeframe of past use. However, its good to know about the mechanisms behind how a hair test works in case you ever are subjected to one. If you smoked marijuana within the last 5-10 days, there is a good chance that a hair test will show up negative. It takes a while for hair to accumulate evidence of cannabis use, it must first metabolize in the liver, travel through the body, enter into the hair follicle and make its way through to the surface of the scalp. If you used marijuana in the last month, or even just once within the past 90 days, you have a higher likelihood of failing a hair test. A hair test for cannabis involves cutting a section of hair measuring around 1.5” and including up to 120 strands. The sample is tested for the presence of drugs. As hair usually grows only at around 0.5” per month, it’s easy to see why this test detects drug use over such an extended period. Hair tests are unpopular because they are expensive, difficult to perform accurately and imprecise. Which Variables Impact the Length of Time Cannabis Remains in Your Body? BMI – Yes, unfortunately, if you have a higher percentage of body fat, you have a tendency to pack in the THC-COOH metabolite for much longer than someone who is physically fit. Hydration – While THC-COOH isn’t water soluble, THC is. Drink up and wash out the toxins! Your Genetic Makeup – This includes the natural speed of your metabolism, your liver function, and more. Physical Fitness– people who exercise regularly discharge THC more quickly than those who lead a sedentary lifestyle. 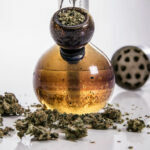 Casual or Chronic – infrequent users will clear the THC more rapidly than a regular user. Regular users tend to see a build-up, which can linger for months. Overall Health – there are several medical conditions which have an impact on the length of time that your body stores marijuana. Other Medications and Drugs – Other drugs may interact with the CYP3A4 and CYP2CP enzymes, the ones responsible for processing marijuana. If you are taking other drugs, even pharmaceuticals, it could reduce the function of these enzymes. 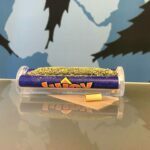 THC Potency – If you are smoking low THC – high CBD cannabis strains, you are going to have a much easier time than if we are smoking 90 percent THC isolates. Is It Possible To Cheat The Test? It’s sometimes possible to cheat cannabis drug testing, although its never guaranteed. Whether it will work for you depends on the type of analysis you are subject to, how much notice is given before the examination, and fate. Although many people rely on artificial urine products, available at the local smoke shop, drug tests are increasingly sophisticated enough to detect false urine. The price for synthetic urine typically ranges from$20-$50.00. We know people who have used fake urine to pass a drug test, but its challenging to pull off and comes with dire consequences if you are caught. Full System Cleanse – this method involves drinking lots of liquids then urinating as much as possible before taking the test. This dilutes the urine to reduce the THC content. Drug Screening Agents – there are some companies which sell herbal teas and substances which may flush toxins, like marijuana, from the body. These have unreliable results and may need to be used over an extended period to prove useful. Exercise and Eat Right – The cleaner you eat and the more you exercise on an everyday basis, the cleaner your system is overall.